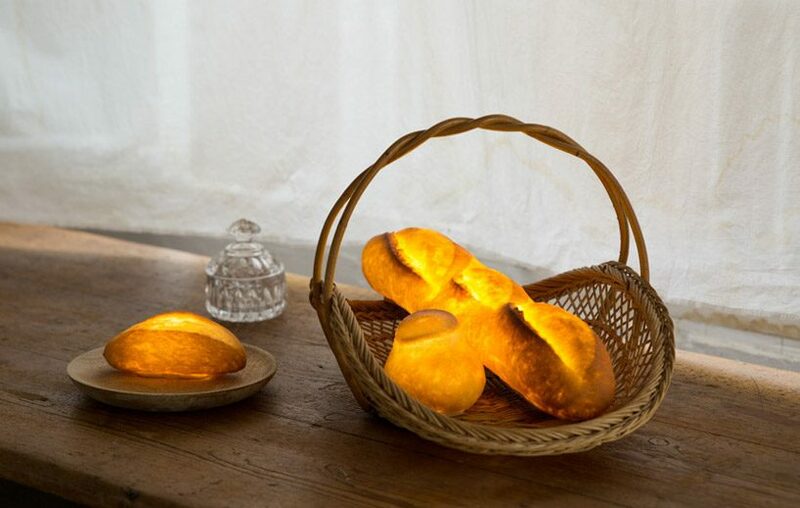 this year at maison & objet 2017, japanese artist yukiko morita showcases her latest innovative product, ‘pampshade’ — a handmade lamp made from real bread. 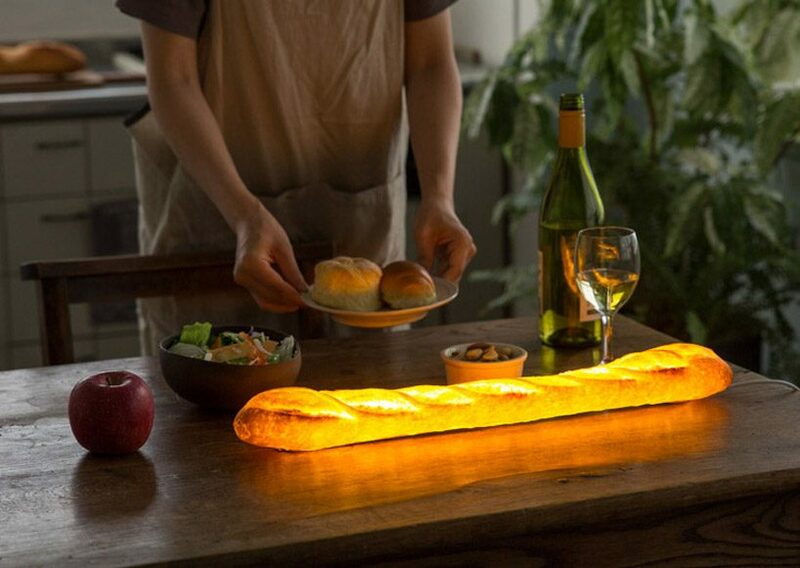 having perviously been a baker, her love of bread has been the motivating drive for the project. 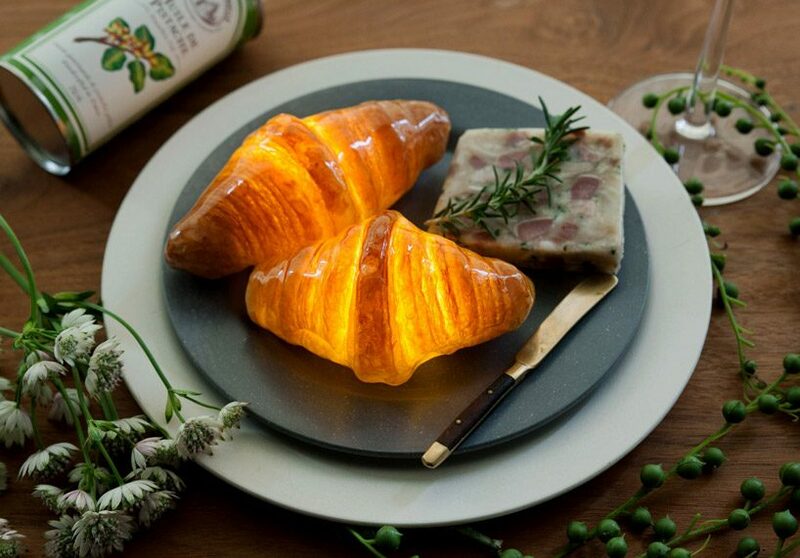 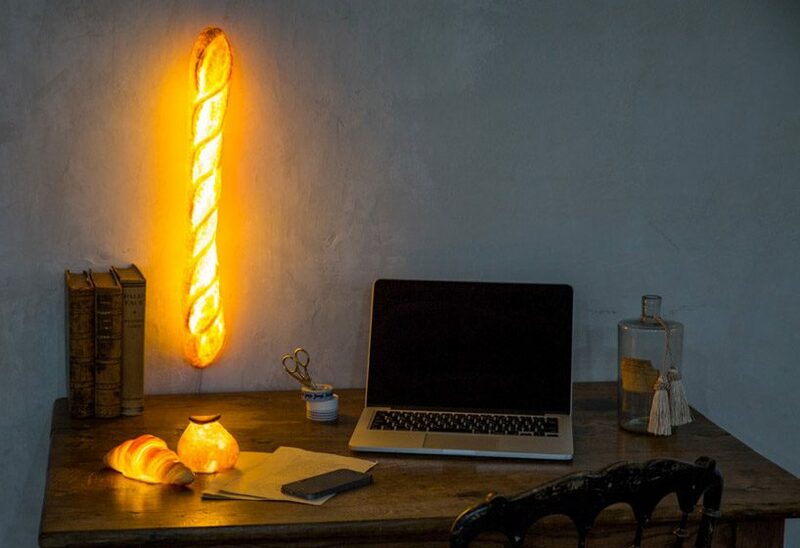 the ingredients used in the lamp include flour, salt, yeast, LED lights and batteries, which are then coated with a layer of resin to protect the bread from decaying. 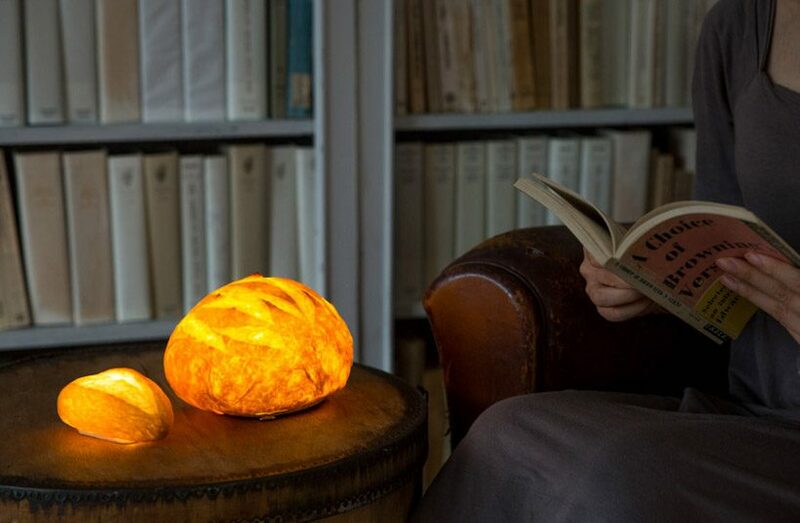 after garnering some attention after tokyo design week where she first revealed her design, morita has since grown her pampshade collection with seven designs. 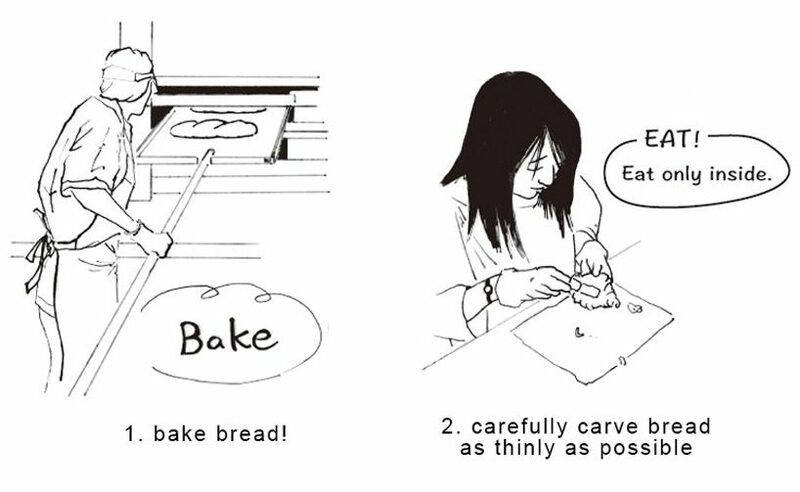 she begins by baking the bread as one normally would, carves the interior as thinly as possible and finally coats the bread with resin. 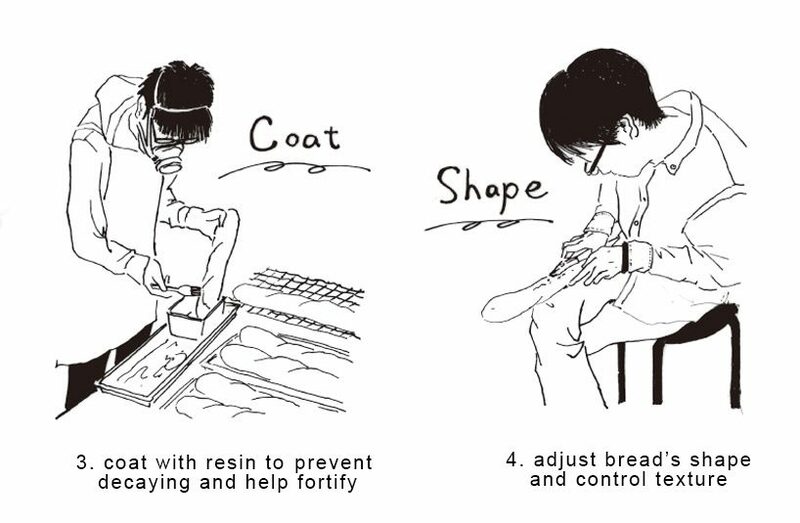 the product is then controlled by adjusting the bread’s shape and texture. 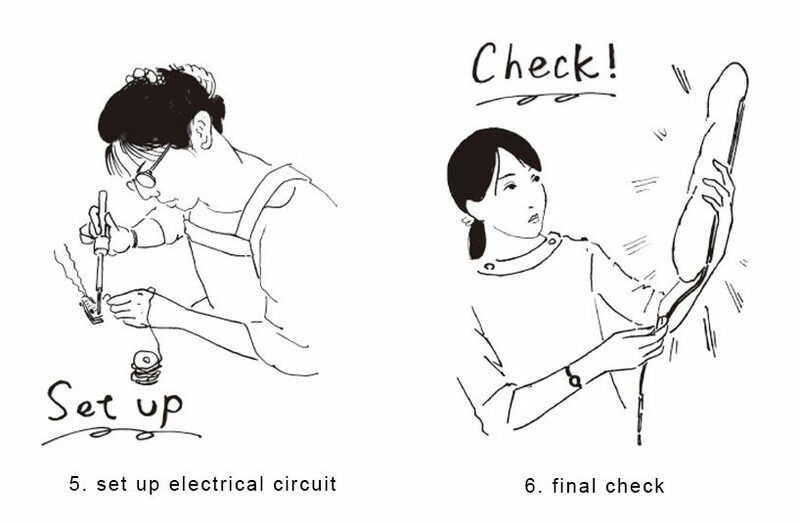 once completed, the electrical circuit is set up according to the lamp shape. 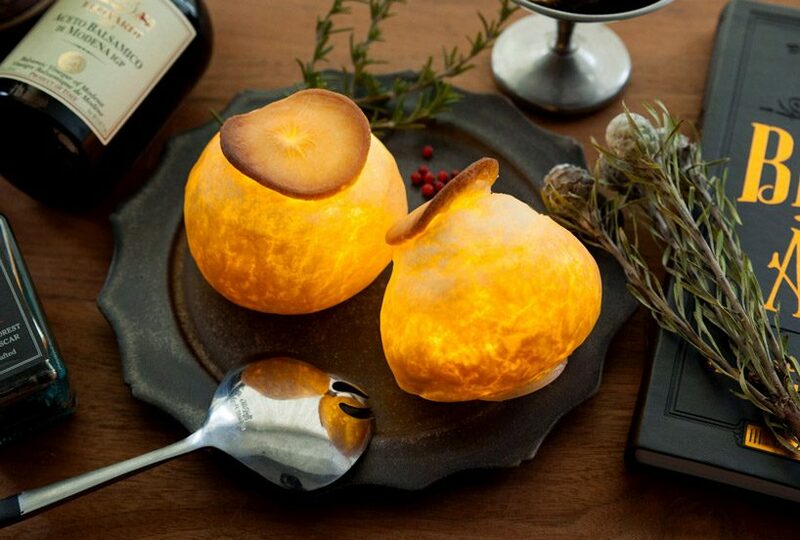 This looks lovely. 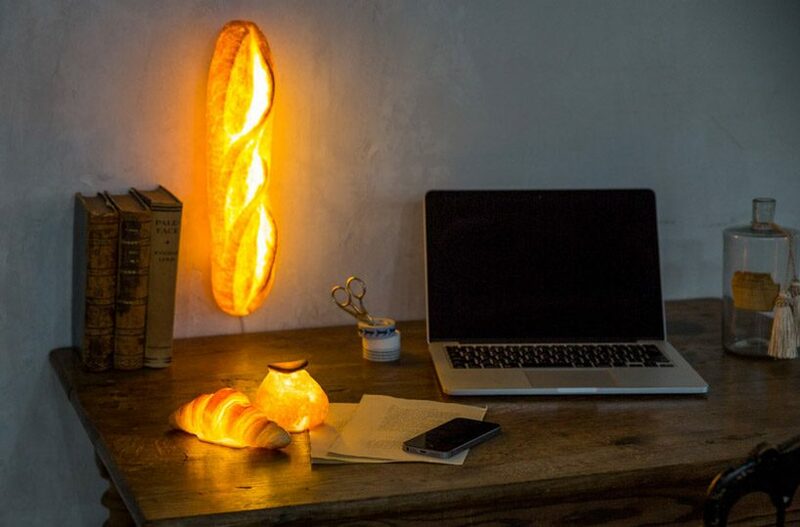 A video of carving the bread would be super helpful!